"Michelle Mitchell is a farsighted, huge-hearted, clear-minded coach who will get you out of the stickiest, thorniest dilemmas life can create. She's particularly good at coaching people through career transitions (she specializes in working with lawyers who feel called to a different life purpose). Her insights are wonderfully liberating for anyone who feels stuck, in career or personal situations. I loved being coached by her, and I think you will too." "I had no ideas how much I was holding myself back in all aspects of my life until I started my coaching sessions with Michelle. With Michelle's guidance, I have discovered that I am in control and I can choose to embrace my reality and take the necessary steps to find inner peace. The best thing about Michelle is not only that she has a wonderful amount of compassion, BUT that she will make you want to do the work! Working with Michelle has reawakened my spirit and I am acting on my personal and profession dreams because as soon as you learn to turn it around, anything is possible!" "I completed six life coaching classes with Michelle and can honestly tell you it has been a life altering experience. Having just moved 3000 miles away from home for a job opportunity, and going through the ending of a relationship, Michelle was recommended to me by a friend. It has been six weeks now and my outlook on life has completely changed in every positive way imaginable. I have begun conquering things in my life that I never knew how to take on before. Michelle is both a good listener and motivator." "Working with Michelle has been wonderful. She is an extremely professional coach, yet at the same time caring and understanding. The sessions we have done together, as well as the background materials and home assignments she has provided have been valuable in my starting the process of figuring out how to achieve a more positive, blissful life. Perhaps most importantly she has helped me realize that it is OK to be in a state of confusion about where my life is heading and to not always have all the answers at my fingertips. 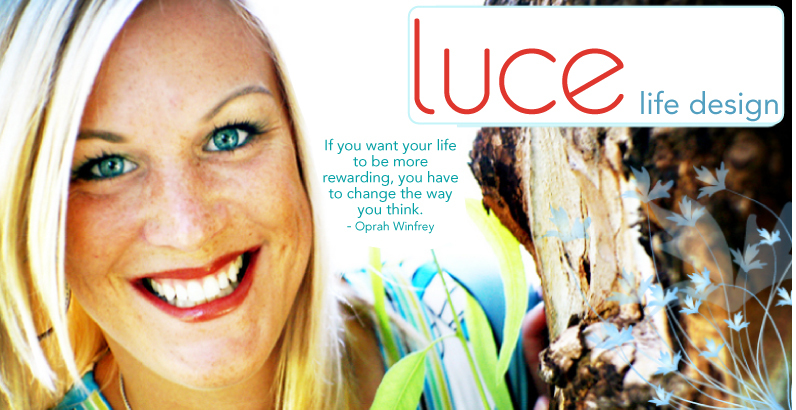 I would highly recommend her to anyone seeking a life coach."